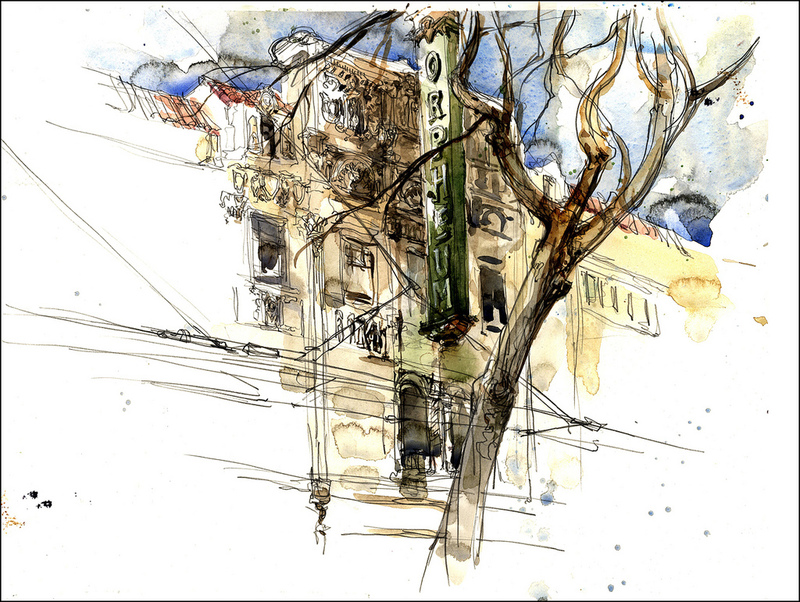 Just a quick street sketch of the Orpheum Theater on Market Street. Light wasn’t great today, but I went at it anyway. Once you’re out there with your stuff, you might as well get to work. I notice my perspective is getting very strange lately. I’m doing a bunch of retro video game graphics at work, it must be affecting my eyes. I’m seeing in isometric perspective! Your watercolouring is nothing short of incredible. It looks so damn gorgeous. Very inspiring!